I always have a problem when a show can’t seem to decide on a title. That usually means confusion in how to best present it. “The World is Still Beautiful”, also known as “Still World is Beautiful” (“Soredemo Sekai wa Utsukush”, “Even So, The World is Beautiful“) does somehow manage to avoid most of it, but not completely. 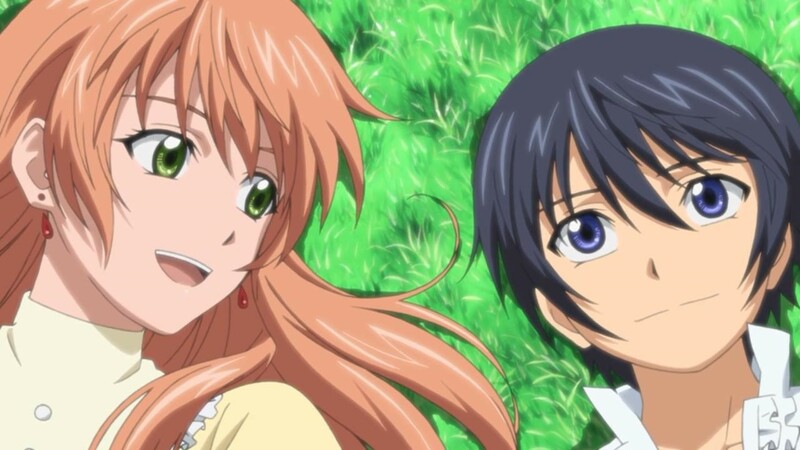 In this world, Nike Lemercier, the fourth princess of the Rain Dukedom and one who holds the power to call forth the rain, travels to the Sun Kingdom to marry Sun King Livius Orvinus Ifrikia (Livius I) for her country, despite her own reluctance. She soon discovers that the King, who conquered the world in only three years after his ascendance to the throne, is still a child, both physically and emotionally. And being one of those ‘my way or the highway’ types, he potentially has never been told ‘no’ in his life. Well, Nike is going to break that record. 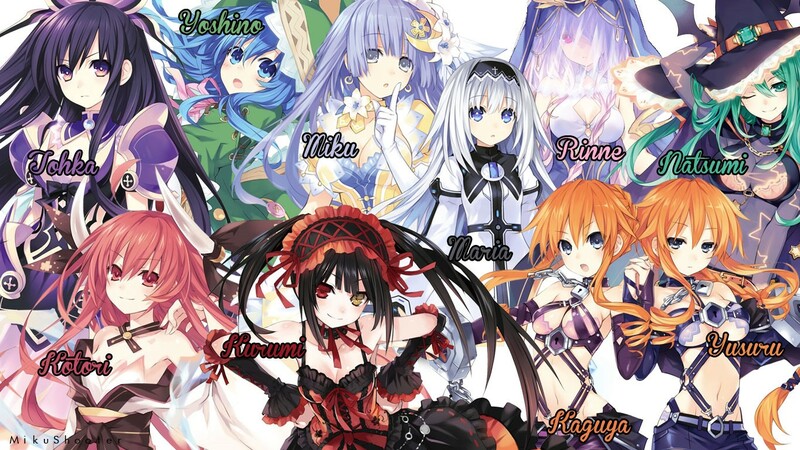 You kinda knew that there would be a sequel to this show, as much was left undone, so the parent company gave us “Date A Live 2”, which is both a continuation of what went down the first season with newer complications, one of which is a shorter season. For those playing catch-up (and those who haven’t read the review of Season 1), the world has been bedeviled by these spacequakes, which are discovered to be caused by these space maidens (called “spirits”) entering our dimension. They cause untold damage and people are killed (think of an earthquake, but far more devastating). It was determined that if these ladies could have their powers sealed, this would cut down on problems. To this end, the standard anime male schlub of Shido Itsuka is used to get these ladies to fall in love with him, so he could kiss them and seal the powers. This is another show that came from a video game, and elements within the show make it feel like a game. “Atelier Escha & Logy: Alchemists of the Dusk Sky” (and that’s a mouthful of a title), tells the story of, nicely enough, the alchemists (left to right), Escha Mailer and Logix “Logy” Fiscario. They have been sent by Central to the city of Colset, to not only render help to the locals, but to try and investigate this floating city of ruins that hovers high above them. This town is right on the edge of a wasteland, but somehow, it has managed to scratch out a living with apple trees, which are coveted around the lands. Still, it is a harsh and unforgiving land and the people are always looking for ways to improve their lot in life. I always have a concern when anything for the movies or TV is adapted from a video game, where “Blade & Soul” first came from. Can you name all the good movies or shows that came from video games? I’ll wait………but not that long. I have a review to offer. It’s a pretty pathetic list. Now, I have never played the game, so I cannot reference if the story works for the anime, but since we did at least string it out for a full season and not try to cram it into two noisy hours, it might work better. “Chaika, the Coffin Princess” is one of the odder journey shows I have encountered. Sure, it just drops you into the action and you have to figure things out on the fly, but the initial idea is strange indeed. Chaika Trabant’s father was once the ruler of the Gaz Empire. OK, more of a tyrant, who exuded great and dangerous powers. When he was killed (as is the fate of all despots), his body was hacked apart and relics given to the Eight Great Heroes who overthrew him. Yeah, what a nice souvenir: the eyeballs of a dreaded ruler. Try to make the rest of the castle decorating work with a trinket along those lines. Let’s see. It’s a harem romantic comedy ‘move-in’ show, with shades of drama sprinkled on top, like something you get at the ice cream store. True, this does have a nice twist into the proceedings, but at the core, it is all the aforementioned. Oh, a ‘move-in’ show, is one where the main character comes to a new town or a new school or a new dimension and ‘moves in’ to an apartment or housing complex or the slave’s quarters to start that new life, but then gets more than they bargained for. It’s just it appears this is the latest fad/plot device in anime. “If Her Flag Breaks” (“Kanojo ga Flag o Oraretara”) is also one of those prophetic shows, where everything is laid out before you, but you have to assemble the pieces, muck like putting together a bicycle on Christmas Eve using those instructions. It initially doesn’t make any sense, (“Adult must be side as of legal place of being”), but as it slowly comes together, you can make it all work…..sort of. This can be properly categorized as a ‘witch show’, but this is no ‘magical girl’ show. It might be closer aligned with “Black Rock Shooter” in the caliber of despair that it generates, but I get ahead of myself. This is an unhappy show. Not a sad show. A sad show is like “Air the Series” or “5 Centimeters per Second”. This one is unhappy is that everyone…it looks like I’m taking the chute back to Square One, as I’m getting ahead of myself. “Brynhildr in the Darkness” (“Gokukoku no Buryunhirude” “Extreme-Black Brynhildr”) is an odd cat of a story, mainly because it doesn’t know what it wants to be. Although I should have expected a second season of “Silver Spoon”, it was one of those shows that could have easily stood on its own just as it was, as Yugo Hachiken (the guy with glasses, if you forgot), learned quite a lot about himself and others. It’s just that it was decided to ‘up the stakes’, as it were, and, this time, it’s double the prizes and double the risks. The first story arc is the Yezo Agriculture Festival. Now, remember, this is an agricultural school so, by its very nature, is located way the stuffings out in the boonies, as it HAS to be the boonies. Yugo has ideas to make the festival the best one ever, but that means he has to take on more and more tasks and more and more responsibilities. This leads to two more story arcs. The second is that he belongs to the Equestrian Club and has major problems with his horse (yup, that arrogant nag up there), but he still wants to put on a performance for the Festival with a jumping event. This is another idol show, along the lines of “AKB0048” and “Long Live Project” and it follow more or less the same arc, although presentation is a bit different. The full title is actually “Wake Up, Girls – Seven Idols”, but, like them, we’ll truncate it to WUG. We have to start with not the girls, but the group that supports them, which are the two ‘adults’ (I’ll explain later).